Pampers the entire texture spectrum. WHAT: This gentle, sulfate-free shampoo de-frizzes and hydrates thirsty curls. WHEN: Anytime you shampoo – can be used daily. HOW: Massage throughout wet hair and rinse thoroughly. 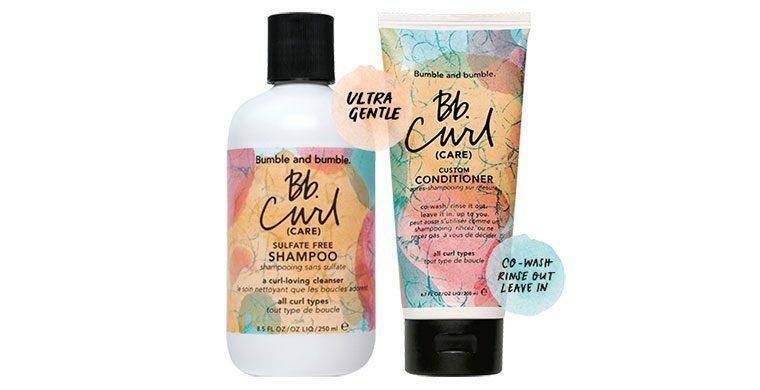 Follow with Bb.Curl Custom Conditioner. Formulated without: Alcohol, parabens, sulfates and phthalates. Leave it in, rinse it out, co-wash – it’s conditioner, curated by you. WHAT: This hydrating 3-in-1 formula can be washed out, left in, or used as a co-wash. WHEN: Following Bb.Curl Sulfate Free Shampoo, or on it’s own (when used as a co-wash). HOW: Evenly distribute throughout hair – and then rinse, leave-in, or co-wash.
Hydrasculpt Blend™ a cross–linking polymer that blends styling benefits with moisture, so that each curl is controlled and hydrated.